Well hello again! I feel like it’s been forever since I’ve posted anything due to my time at the Snap Conference. 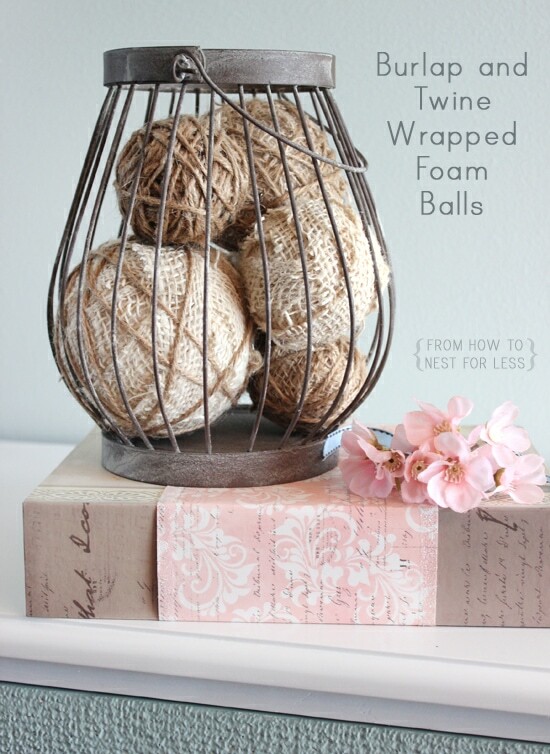 But now I’m back and completely recharged and ready to show you guys some fun new projects, like this one… Burlap and Twine Wrapped Foam Balls! The burlap I had on-hand was about 3 inches wide. 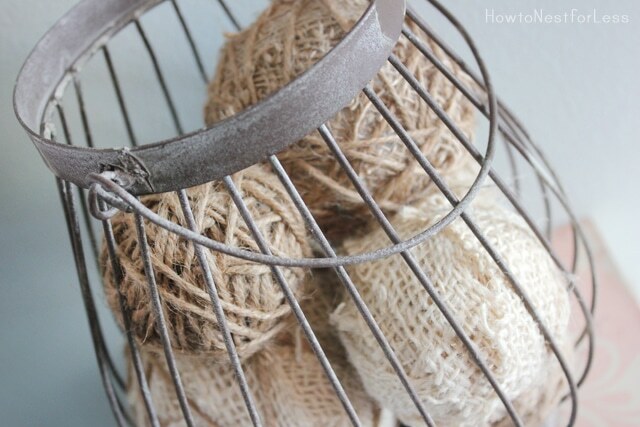 Since this project is easier to complete with thinner pieces, I trimmed the burlap in half with a pair of scissors. Later this week I’ll be sharing some little tidbits of my Snap Conference experience. « It’s National Painting Week! Love this! So simple but looks great! Perfect timing – I have a small wire basket just sitting on a shelf looking so plain and sad. I was trying to think of something to put in it. 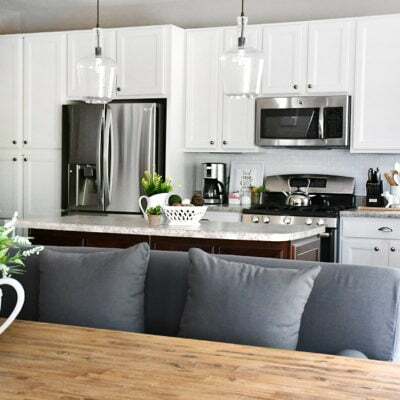 I love this – quick and easy! Thanks! Love this! 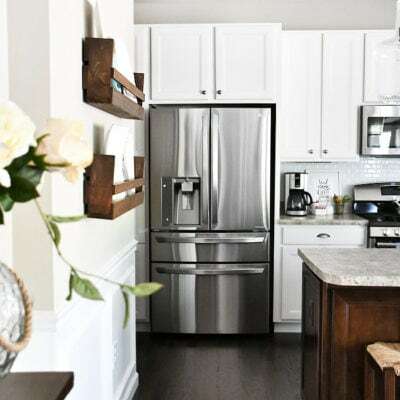 Especially love the wire basket! Glad you had such a wonderful time at Snap! Look at you already putting some of your SNAP swag to use. I love how you used the balls! Wow! 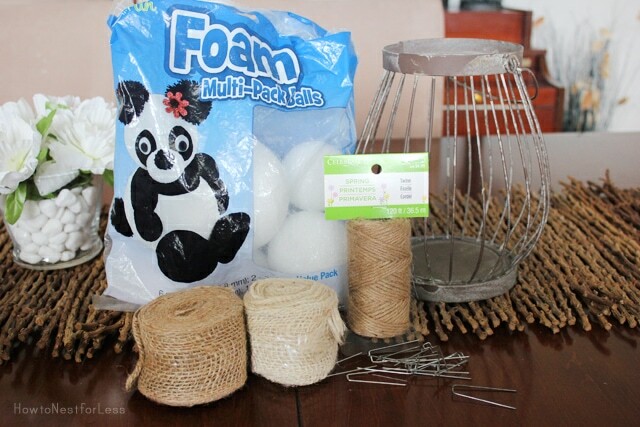 What a fantastic idea for those styrofoam balls we got in our swag bags! Love it! Pinning! I have been busy making all kind of greenery balls, so now I need to make some of these. They looks amazing. What a clever idea. I would love for you to link to my Inspire Me party that is ongoing. 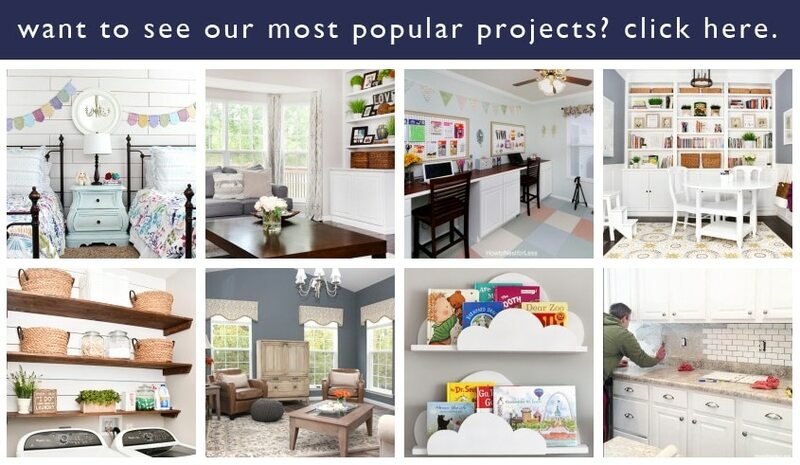 Saw your creations at Not Just a Housewife Link party. 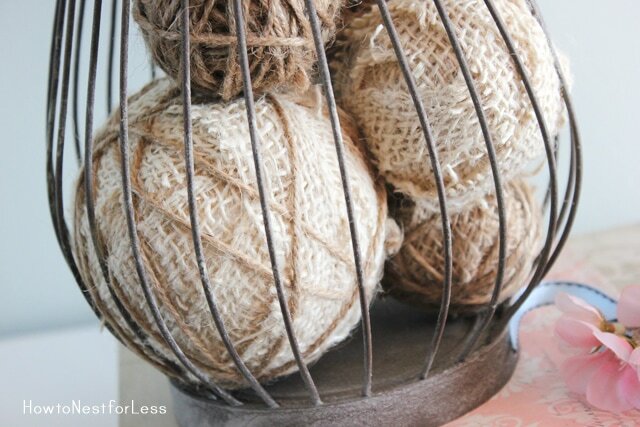 Love anything with burlap and twine. Lovely yet.simple. Beautiful! 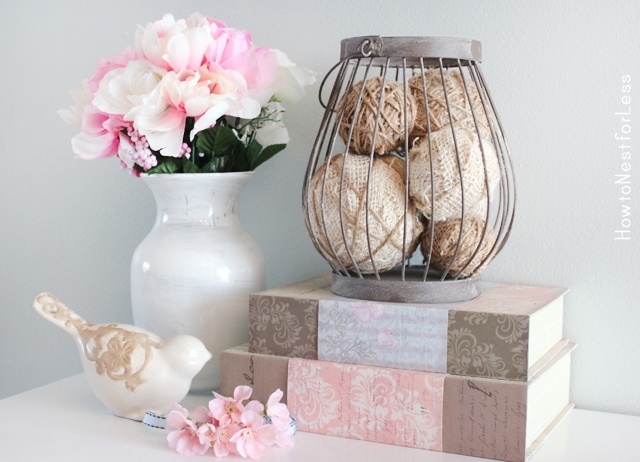 I’m loving decorative cages right now and those burlap & twine covered balls look great in yours. These are so pretty!!! Featuring later today. 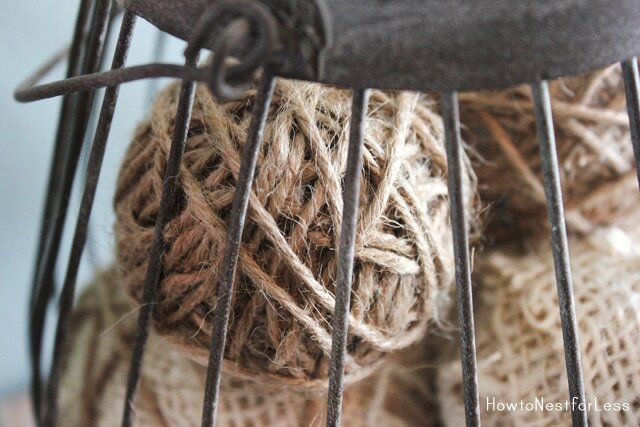 I have really been into texture lately, it all started with a burlap covered Spring wreath project earlier this year. 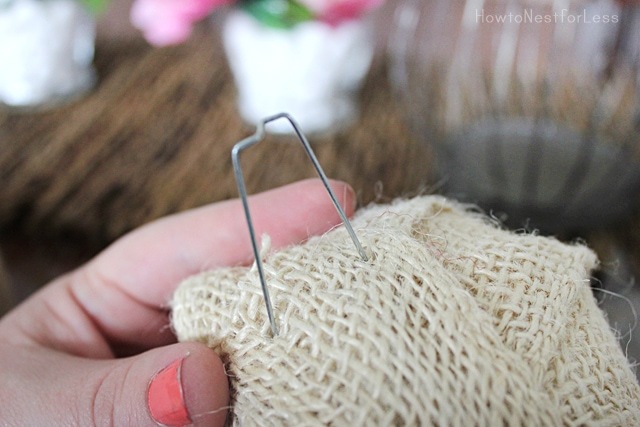 Love how easy this is….and cheap! Thanks Kalyn! 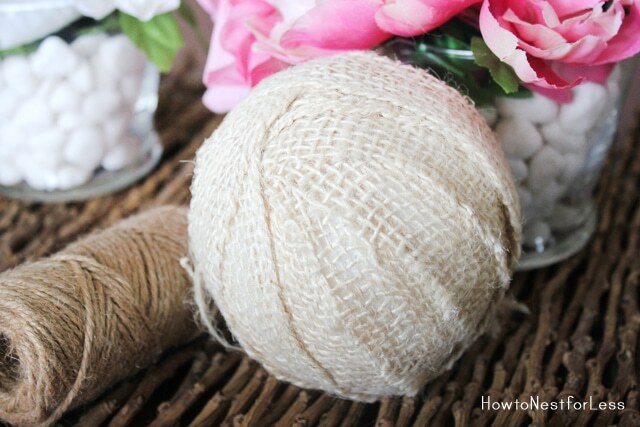 A burlap wreath is on my to-do list!! 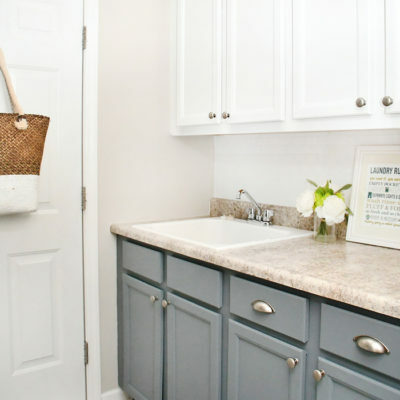 Where did you find the wire basket.